Please go to the Open Space Survey to make suggestions for lands or property entitlements (like access ways) that the County should consider for purchase or to otherwise acquire as part of the County’s Open Space Program (pursuant to Chapter 6, Article 14 of the County of Kauai Charter). Alternatively, you can print and fill out the Open Space Survey PDF form and email it. Mahalo! Kauai voters in December 2002 approved an amendment to the County Charter that established the “PUBLIC ACCESS, OPEN SPACE AND NATURAL RESOURCES PRESERVATION FUND” and stipulated that each year a minimum of one half of one percent (0.5%)of the County's certified real property taxes would be deposited into the fund. Ordinance 812, created in December 2003, as the charter amendment directed, the County Council enacted to establish procedures for the administration and priorities for the expenditure of the fund. The ordinance also established a nine-member advisory commission, the "Public Access, Open Space, and Natural Resources Preservation Fund Commission," and attached it administratively to the Planning Department. Conserving land for open space and scenic values. Ordinance 936 effective December 2012 increased the County's certified real property taxes revenues from one half of one percent (0.05%) to one and one half percent (1.5%) effective July 1, 2013. Ordinance 925 - effective April 2012 aimed to better align the authorities provided by the Ordinance and that of County Council and the people of Kauai. The Commission and Planning Department are charged with the task of developing an biennial list of recommended priorities of lands or property entitlements to be acquired or for the funding of projects directly related to the act, and to incorporate a countywide community input process into development of this biennial list. 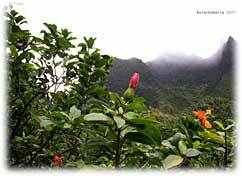 Open Space Commission reports submitted to the County Council include recommendations for improving public access, open space, and natural resources preservation on Kauai. These reports are available for download in the "Documents" panel below. 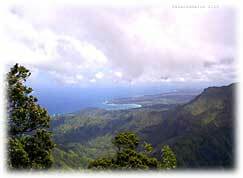 The amendment to the County Charter, along with passage of Ordinance 812, 925 and 936 expresses Kauai residents’ desire that the island’s special heritage sites and experiences will be preserved, the environment protected, and recreation and access opportunities for all of the people will be enhanced and protected for all time. Agenda for the March 14, 2019 meeting of the Open Space Commission. Agenda for the February 14, 2019 meeting of the Open Space Commission. Agenda for the January 10, 2019 meeting of the Open Space Commission. Agenda for the November 8, 2018 meeting of the Open Space Commission. Agenda for the October 11, 2018 meeting of the Open Space Commission. Agenda for the July 12, 2018 meeting of the Open Space Commission. Agenda for the March 8, 2018 meeting of the Open Space Commission. *Meeting CANCELLED due to lack of quorum. Agenda for the January 11, 2018 meeting of the Open Space Commission. Agenda for the December 14, 2017 Open Space Commission meeting. Agenda for the September 14, 2017 meeting of the Open Space Commission. Agenda for the April 13, 2017 meeting of the Open Space Commission. Agenda for the March 9, 2017 meeting of the Open Space Commission. Agenda for the January 12, 2017 meeting of the Open Space Commission. Agenda for the November 10, 2016 meeting of the Open Space Commission. Agenda for the August 11, 2016 meeting of the Open Space Commission. Agenda for the July 14, 2016 meeting of the Open Space Commission. Minutes approved by the Open Space Commission on November 8, 2018. Minutes Approved by the Open Space Commission on October 11, 2018. Minutes approved by the Open Space Commission on August 9, 2018. Minutes Approved by the Open Space Commission on July 12, 2018. Minutes approved by the Open Space Commission on April 12, 2018. Minutes approved by the Open Space Commission on February 8, 2018. Minutes approved by the Open Space Commission on November 9, 2017. Minutes approved by the Open Space Commission on June 8, 2017. Minutes approved by the Open Space Commission on April 13, 2017. Minutes approved by the Open Space Commission on November 10, 2016. Minutes approved by the Open Space Commission on August 11, 2016.